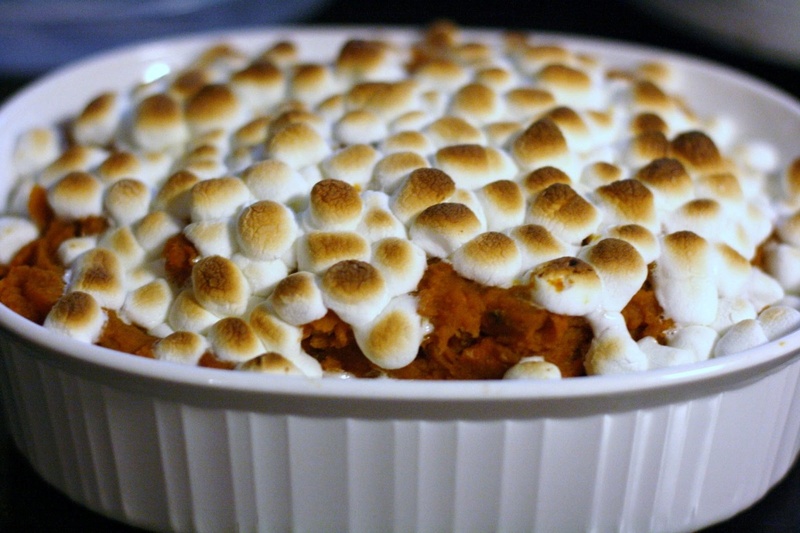 Most Thanksgiving and Christmas dinners include a side dish of candied yams. Like me, you’ve probably had some that could’ve been called dessert. But they can show up in so many more ways. This is a winter vegetable that delivers! Not only are these bright orange (sometimes yellow and purple) nuggets nutritious and packed with stuff you need like potassium and Vitamin B6, but they can help you reduce blood pressure and your risk of heart disease. Plus, their slow-release complex carbohydrates and fiber fill you up without making your pants too tight. This is a vegetable that really deserves more spotlight than just holiday dinners. The yam ought to be a mainstay during the winter months. For instance, consider oven cottage yams instead oven cottage potatoes. Just toss some peeled, diced yams and wedged onions in a mixture of cumin, salt, pepper and a little olive oil. Spread them on a baking sheet and roast them at around 400° F for 20 minutes (stirring them at the halfway point). Cottage yams are only the beginning. Here are other ideas I found on one of my favorite foodie sites, The Fresh Blog (www.luvoinc.com). And besides the nutritional punch you’re adding to your diet, you’ll like how easy these ideas are. 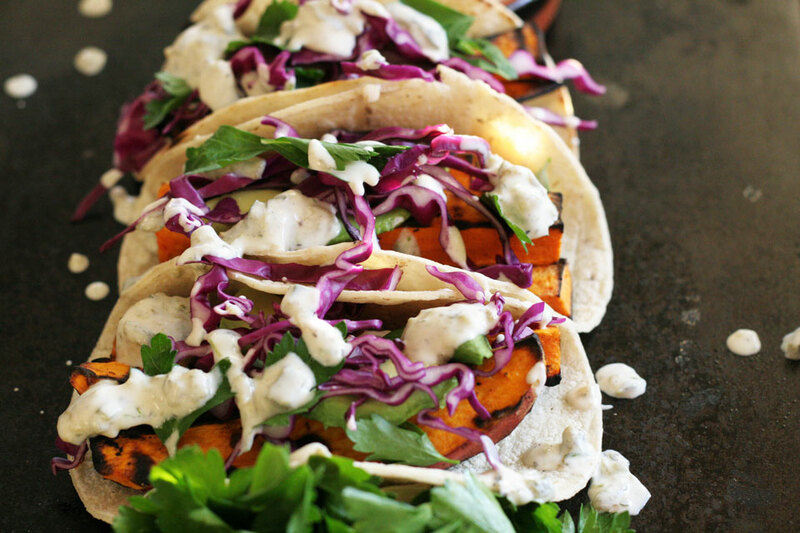 How about a yam taco? Simply take those roasted yams (the cottage yams mentioned above), dice them small, and stuff them into some warm corn tortillas with your favorite taco toppings, like fresh salsa, cilantro, a squeeze of fresh lime and a sprinkle of cheese. This is a very delicious variation on traditional tacos that the vegetarians in the family will really appreciate! Baked and stuffed yams up next. This is a take on the traditional twice-baked potato. 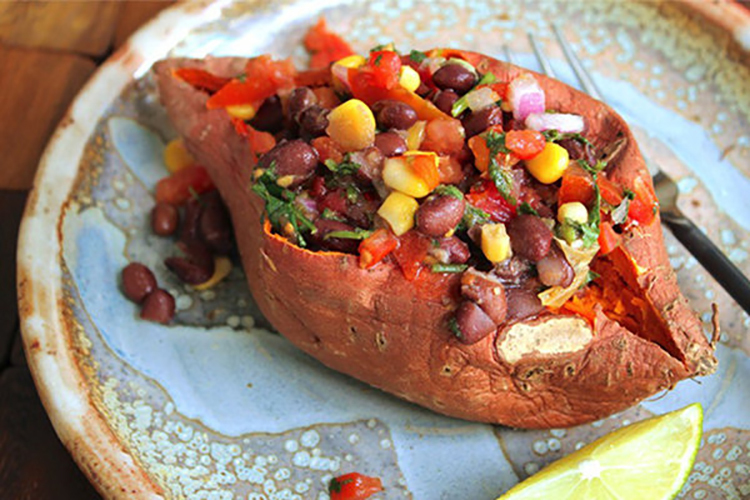 Pierce each yam a couple times with a fork, and bake them at 400° F for an hour. Cool them a bit, then cut a slit down the middle and scoop out most of the insides, being careful to keep the skins intact so you can stuff them again. For the stuffing, mash the yam insides with butter and your favorite herbs and seasonings (i.e. chives, garlic, thyme, etc.). Then spoon the seasoned mixture back into the potato skins, top with a sprinkle of cheese and bake again for about 10 minutes until the cheese melts. Topping the finished potato with your favorite chili is nice, too. Finally, yam hash. 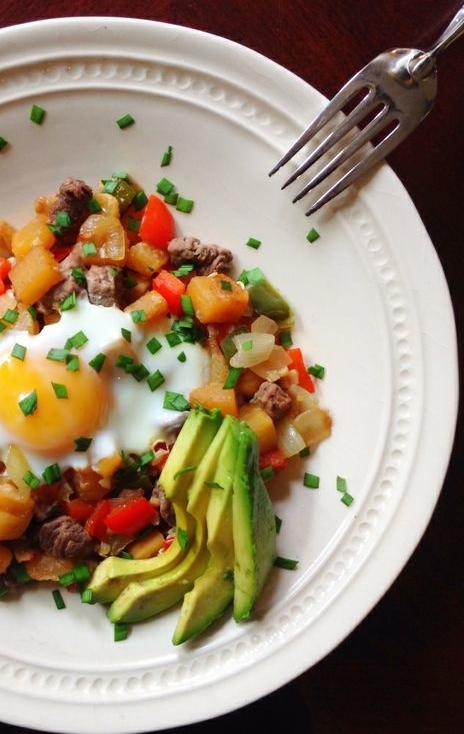 Roasted yams make for a much healthier version of the typical breakfast potato hash. All you do is toss some diced yams and other hash-worthy veggies (bell peppers and onions are good choices) in a bowl with olive oil, salt, pepper, coarsely chopped fresh garlic, and herbs and seasonings (I like fresh rosemary or smoked paprika). Spread them on a baking sheet and roast them at around 400° F for 20 minutes (stirring them at the halfway point). Poke them with a knife to check for doneness. Serve with your favorite kind of eggs and some sautéed or steamed greens to balance out a delicious and nutritious breakfast!